Ian Paisley at the Secretary of State for Northern Ireland's Annual Garden party. Pic Mark Winter. North Antrim MP Ian Paisley begun his 30-day suspension from the House of Commons on Tuesday. And instead of being on the famous green benches at the start of a new parliamentary term, Mr Paisley attended the launch of an enterprise strategy at the Ballymena Business Centre. There Sir William Wright was honoured for his work with his Ballymena-based bus manfacturer Wrightbus. Later Mr Paisley attended the Secretary of State's Garden Party at Hillsborough Castle where the Princess Royal was guest of honour. 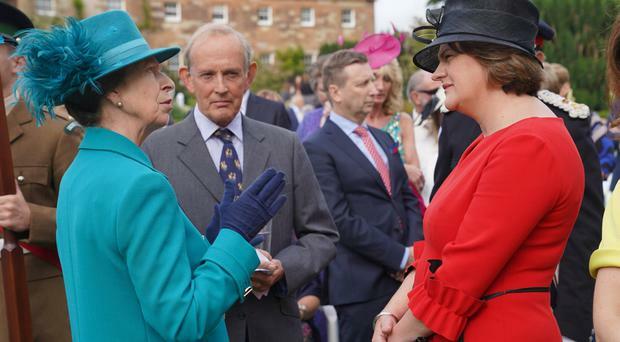 Also among the guests was DUP leader Arlene Foster and UUP leader Robin Swann. Meanwhile in the Commons Brexit Secretary Dominic Raab delivered an update on the latest state of play in the exit talks with the EU. On Wednesday the chamber will hold Northern Ireland questions and the Northern Ireland Affairs Select committee will discuss health funding in Northern Ireland - all of which Mr Paisley would usually attend. He is banned from the Commons for 30 sitting days - meaning he will be out of the Commons until at least November and could miss crucial Brexit votes. It is the longest ban on record for any MP from parliament. The Conservative minority government has a confidence and supply deal with the DUP and relies on its 10 MPs to pass votes. Mr Paisley was suspended from the Commons after failing to declare two luxury family holidays paid for by the Sri Lankan government. He was also found to have breached rules on paid advocacy after lobbying then Prime Minister David Cameron on a UN resolution concerning human rights abuses in Sri Lanka. What is a recall petition and could an MP really lose his seat? His absence from the Commons has forced a petition of recall. If 7,543 people sign the recall petition, 10% of the electorate, then a by-election will be held. The petition, which is due to run until September 19, is the first of its kind in UK parliamentary history. The MP has been suspended by the DUP which is conducting its own investigation into his behaviour. Mr Paisley, in a brief media appearance last month, said if he thought his actions merited his resignation, he would have done so already. Ian Paisley with Donald Trump. The North Antrim MP has supported the US president. Ian Paisley and Ian jnr eating buns in the campaign trail in March 1982. 3/5/2010. PACEMAKER BELFAST. IAN PAISLEY JR POSES FOR THE OFFICIAL ELECTION ARTIST, SIMON ROBERTS WHILST CANVESSING IN THE COUNTRYSIDE OUTSIDE BALLYMENA THIS AFTERNOON. PICTURE CHARLES MCQUILLAN/PACEMAKER. Pacemaker Press Belfast 22-03-2013: Ian Richard Kyle Paisley, Jr, MP is the Member of Parliament for North Antrim and member of the Northern Ireland Assembly for the Democratic Unionist Party and an author. 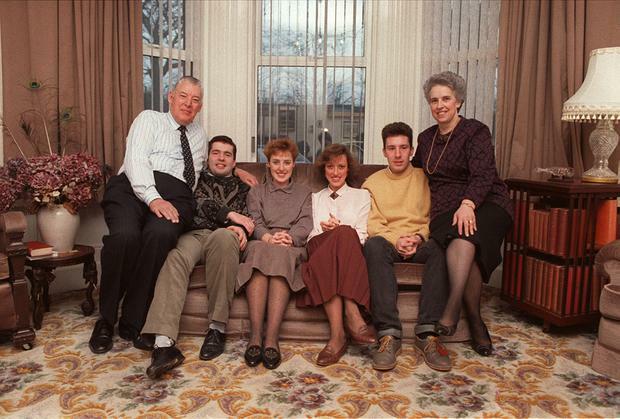 He is the son of the DUP's founder and former leader, Ian Paisley. Picture By: Arthur Allison. Pacemaker Belfast 18-06-2007: Junior Minister Ian Paisley Junior pictured at photocall at Stormont where ministers were encouraging people to cycle to work. DUP's Ian Paisley celebrates victory in the North Antrim constituency count in Ballymena in the May 2015 General Election. Picture Stephen Davison Pacemaker 8/5/2015. PACEMAKER BELFAST. Ian Paisley and Ian Jnr. 3/5/2010. PACEMAKER BELFAST. IAN PAISLEY JR AND IAN PAISLEY SR IN HARRYVILLE, BALLYMENA. PICTURE CHARLES MCQUILLAN/PACEMAKER. Pacemaker Press: 22th December 2017: Ian Paisley Jr pictured with his new and old Passport Picture By: Arthur Allison. Firefighters are dealing with a large fire at Tollymore Forest near Newcastle in Co Down. The leader of the SDLP has called for talks to restore powersharing at Stormont to begin immediately following the murder of journalist Lyra McKee. Two teenagers arrested in connection with the murder of journalist Lyra McKee have been released without charge.